 A few weeks ago, the Brazos Fellows community gathered together over lunch to share stories from year one of the fellowship. It was wonderful to hear several of the fellows and tutors reflect on our year together: new ways of thinking about and practicing prayer, deeper understandings of our identity in Christ, and the value of studying in a community that practices spiritual disciplines. Today our class had the privilege of discussing Alexander Schmemann’s For the Life of the World, a wonderful 20th c. work of theology, with Christina Lambert. Christina just defended her M.A. thesis at Baylor on Wendell Berry and ecocriticism, and she’s beginning the Ph.D. in Literature at Baylor this Fall. The fellows had a great time with Christina discussing Schmemann’s sacramental theology, his close reading of the Eucharistic liturgy, and the way in which he helps us recognize the cosmic significance of what we’re up to in our Christian worship. What can we learn about the Christian life from the long history of Christian monasticism? What does monasticism have to teach us about marriage, celibacy, and community? In what sense is every Christian called to a kind of monasticism? In class today, Hans taught the fellows about nouvelle théologie (a 20th-century Catholic theological movement), and Vatican II, especially “Lumen Gentium,” or the dogmatic constitution of the church. Yesterday the fellows enjoyed hearing from Rev. Dr. Greg Peters, who serves as professor both at the Torrey Honors Institute at Biola University as well as at Nashotah House Theological Seminary. Dr. Peters gave several talks at Baylor this week on “The Monkhood of All Believers,” a topic he has written extensively on. The fellows had a great discussion with him about what we can learn from the long history of Christian monasticism about the Christian life. I’m pleased to share my contribution to “A Symposium on Teaching Virtue: Interdisciplinary Perspectives on Pedagogy, Liturgy, and Moral Formation,” recently published in the International Journal of Christianity & Education. At the midpoint of the Eucharistic liturgical rite, there comes a moment when the congregation is called to remember. We are invited to kneel, to silently consider our pasts, and then to give voice to “what we have done and what we have left undone.” (Book of Common Prayer, 1979: 331)As a turning point in the liturgy, and, indeed, a biblically-mandated discipline, confession is foundational for the spirituality of each Christian believer and the life of the church. Perhaps this liturgical act, in some sense, is also emblematic for all Christian reflection on the past. As the liturgical moment of remembrance, confession informs how and why we attend to history. How might liturgical confession serve as a model for our historical pedagogy? In this essay, I suggest that three aspects of confession – its posture, its understanding of knowledge, and its ends – ought to inform how and why we teach history. Together, these show that the liturgical act of confession offers a fruitful framing metaphor for the historical classroom. Can you be good without God? It was in the 18th century that ethics began to separate from religion. Moral philosophy was in many ways looking for an Isaac Newton of the moral sciences, and there were many who thought that human nature and its problems and opportunities could be fully described on an empirical basis, rather than from the point of view of divine revelation. On these matters, the early evangelicals were more at odds with their culture. It seemed to them that God’s revealed law was psychologically penetrating and ethically comprehensive. Its diagnosis of the human condition was devastating, and one’s only hope was to trust in a divine Saviour. They spoke therefore of the “spirituality and extent of the law” as a doctrine to awaken men and women to their true spiritual condition. This lecture will look at their view of human nature against the Enlightenment background.